The Bath & Kitchen Showplace - Tomball (a Kohler-registered showroom) serves the greater Houston area as a premier plumbing and hardware showroom providing world class customer service, products, and resources for a wide range of styles, budgets, and construction specifications. As a member of the Greater Houston Builders Association, the National Kitchen & Bath Association, and American Society of Interior Designers, we partner with contractors, designers and trade professionals to provide the best client experience from initial selections and pricing to procurement. Because we are a division of Moore Supply Company, we can give you the benefits of a big company with the personal attention of your local shop. Conveniently located in Northwest Houston at FM 2920 and SH 249, near the Grand Parkway. We are open to the public! Schedule an appointment today! The Bath & Kitchen Showplace - Moore Supply Co. - Tomball is a Kohler Registered Showroom. We are a design/build company that specializes in kitchen and bath remodels. We also do room additions, media rooms. patio covers and whole house remodeling. We have been in Business in Kingwood, TX since 1991. Our goal was to provide our clients with the highest quality of workmanship and ethical treatment. As the business has grown, our original commitment to our clients has not lessened, it has grown stronger and deeper. Quality Home Improvements has built a sterling reputation through-out the Kingwood-Atascocita area and is known for their integrity, creativity and exceptional customer service. TashMart sells unique stone vessel sinks and mosaic tiles. We import are products from the famous Afyon region on Turkey. We carry over 70 different styles of sink and over 250 sinks in stock. We ship anywhere in the lower 48 states for free on all vessel sinks. Providing reliable, handyman services for all commercial & home repair needs. If you're looking for an electrician, plumber, AC repair or appliance repair services, we'll get the job done. Call today! Mirrors4Makeup is a leading online seller of high-quality Kimball & Young, Baci and Remcraft makeup mirrors for home use. ARC's owner has over 21 years of experience as a glass specialist in the Houston area. After becoming frustrated with working for companies that routinely cut corners and sacrificed quality, in 2006 Brian Anderson began his own company, founding ARC Glass. Brian's strong work ethic and extensive knowledge of the glass industry has provided him with the tools to supply customers with the best products at an affordable price. It's no surprise then that what started as a small one-man shop has flourished into a booming business, one with an exemplary reputation for service and quality. With an emphasis on continuing education on new products and services, ARC stays well ahead of the market. Kitchen and Bathroom remodeling specializing in leak proof showers with a lifetime guarantee. Use the Houzz Professionals listings to find Conroe, TX kitchen and bath accessory vendors. Don’t rule out asking a kitchen manufacturer’s design team for help, too. Skills often can be overlapped to save you time and money! Here are some related professionals and vendors to complement the work of kitchen & bath fixtures: Kitchen & Bath Designers, Kitchen & Bath Remodelers, Interior Designers & Decorators, Cabinets & Cabinetry. Find kitchen and bath fixtures and accessories, plus installation experts, on Houzz. 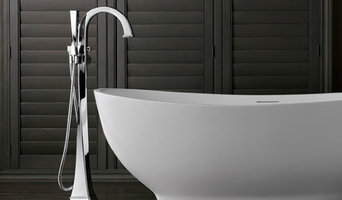 Check out Texas kitchen products and installers, and bath plumbing products and installers, on Houzz. 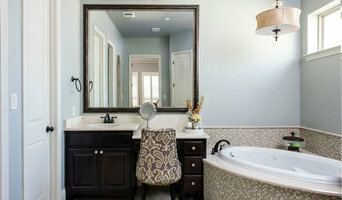 You can also look through project photos provided by Conroe, TX renovators, retailers and designers.